Kandivali West, Mumbai, India- 400095. I have completed my C1 level from Goethe Institute.I am currently working with two renowned foreign language institute as a German Language Trainer. I teach upto B2 level. 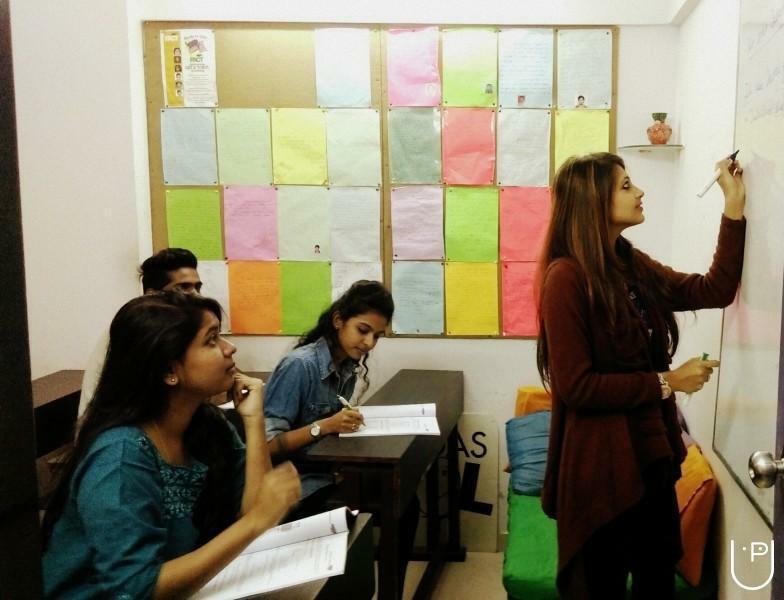 Also, I train students for International certification exam for Goethe Institution.Have taught around 100+ Students from varied age group (specially professional and working people) till date. I also give verbal training to individual who have completed the elementary level but find difficulty in spoken German. Have been teaching German since last 5 years . Have taught at various institutes like Cambridge , Bindas Bol , etc . 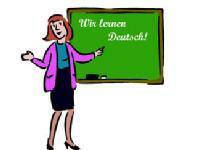 Teach German to professionals migrated to Germany and aspiring students who want to study in Germany . 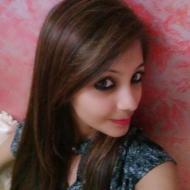 "Shivani is a very good teacher, has good experience in explaining things well. Is very professional, well planned. She also has good patience, which is important for any good teaching. My German has improved learning from her, she is also able to tell you your weak areas and help improve it. " 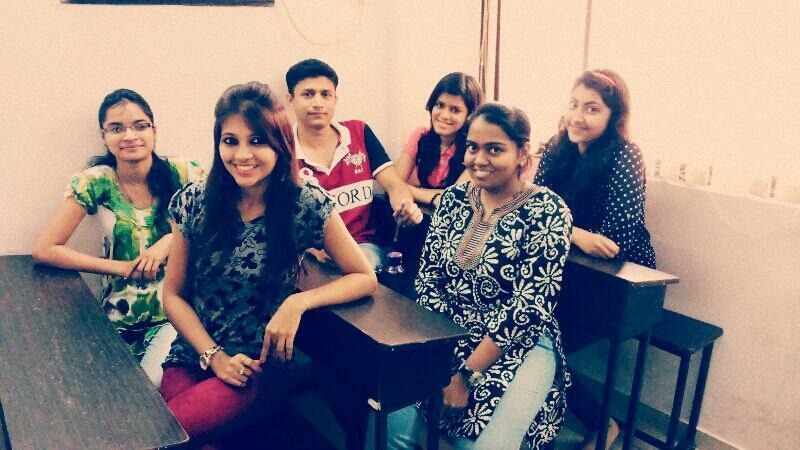 "I went to Shivani since I needed to brush up on some of the topics for the Goethe Exam. She trained me methodically on topics like grammar and speaking and with her help I could pass both a1 and a2 exam. " 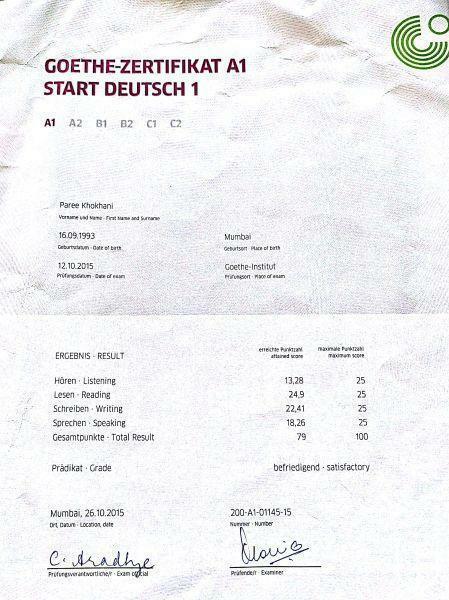 "Shivani helped me prepare for TELC B1 exam. Her coaching was very helpful. 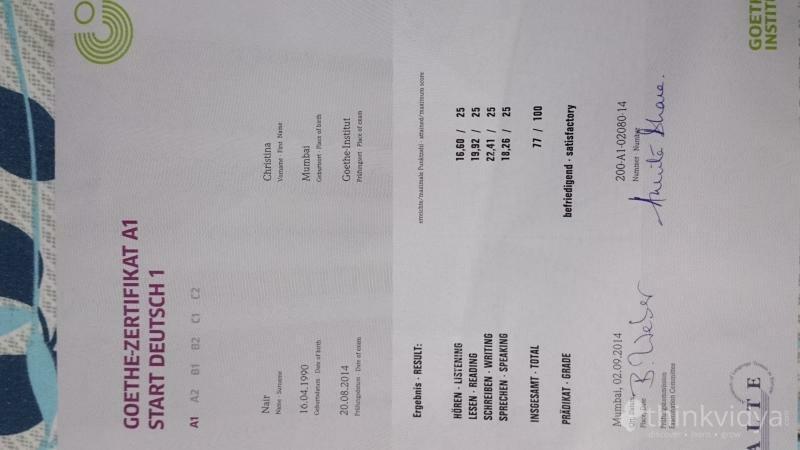 I achieved good scores (96%) in the exam. I would definitely suggest her exam preparatory classes to anyone who is going to take their german B1 exams. " "I recommend shivani for learning German. I enrolled in A1 course thru Skype as i live in middle east. She is skilled, professional, patient through out the course and accommodating my requests as i had to cancel reorganize several classes due to time difference and work commitments. I will be continuing next levels with her. No matter what level you are on she will be able to support you. " What are the common German Grammar errors committed by students? German Language has lots of rules and specific grammer structure. The most difficult part is to remember the gender for all the common nouns and also the classification of sentences and how to use these genders in each case. It can be mastered only through intense practise and use of the language. I want to work in Germany. What level of German language is required? Hi Sreeja, For working in germany you need to reach atleas upto B2 level which qualifies you to understand the language in depth and also allows you to strike conversations with natives in office and elesewhere. 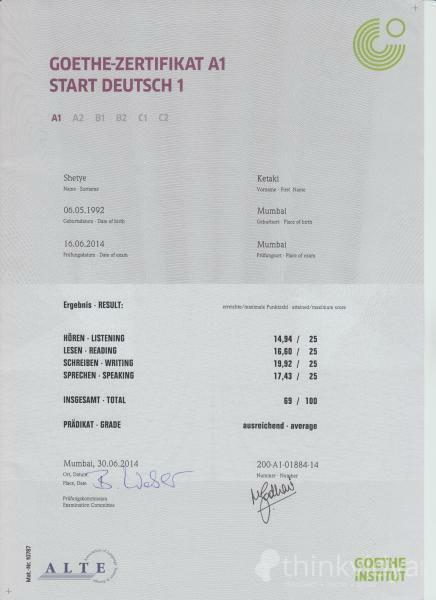 I am planning to take up German language classes to apply for jobs in Germany. I am a little confused due to the following factors: 1. How effective is online training? 2. I consulted many institutes .each of them offer different duration of course for same certification. I want to know how many hours of classes are required on an average to do a1 certification for a beginner. Shivani D. describes herself as Tutor. She conducts classes in German Language. Shivani is located in Kandivali West, Mumbai. Shivani takes Regular Classes- at her Home and Online Classes- via online medium. She has 5 years of teaching experience . Shivani has completed Bachelor of Arts (B.A.) from University of Mumbai in 2011. She is well versed in German. Shivani has got 114 reviews till now with 100% positive feedback.